Outstanding customer support is provided via a host of exceptionally-written technical manuals, instruction sheets, and videos for AeroConversions products. Electronic copies of most of our manuals can be downloaded here. The AeroVee Assembly Manual offers detailed step-by-step procedures for assembling the AeroVee 2.1 engine kit. The Assembly Manual features an assembly step check list and is richly illustrated with crystal-clear photographs and illustrations. The Sonex/AeroVee Installation Guide (now combined with AeroVee Assembly Manual) gives firewall-forward guidance for installing your AeroVee using Sonex factory-tested and proven techniques and materials. The Installation guide is specific to Sonex airframes, however the guide may be applied to any airframe for a clean and simple AeroVee installation. 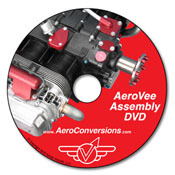 The AeroVee Turbo Assembly Manual offers detailed step-by-step procedures for assembling the AeroVee Turbo engine kit. The Assembly Manual features an assembly step check list and is richly illustrated with crystal-clear photographs and illustrations. The AeroVee Turbo Retrofit Instructions offers detailed step-by-step procedures for upgrading your existing AeroVee Engine to an AeroVee Turbo. The Assembly Manual features an assembly step check list and is richly illustrated with crystal-clear photographs and illustrations. Sonex Aircraft has been developing a new liquid cooling system with very promising results. Due to popular demand, a bill of materials and installation instructions have been posted for those that wish to get started with an installation of the system on their aircraft. More flight testing to come as the weather improves in Wisconsin, including testing on hot days. Get more details and subscribe to the project mailing list for automatic updates from the Hornets' Nest R&D Web Site. Assembly and Installation Manual. None of these changes are required to be performed on your particular engine. All required service items are listed on the AeroVee Service Bulletins page. Turbo Assembly and Installation Manual. None of these changes are required to be performed on your particular engine. All required service items are listed on the AeroVee Service Bulletins page. Instruction Sheet detailing installation of the AeroVee Mini Sump with Filter Kit, which is standard on all AeroVee Turbo installations, and optional for normally aspirated AeroVees. This instruction sheet may be downloaded in Adobe PDF format. Instruction Sheet detailing installation of a Top Mount Oil Cooler. Added to AeroVee Assembly Manual Revision P (03/2012) and later. 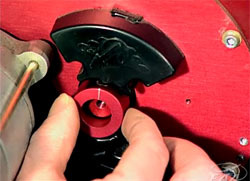 Instruction Sheet detailing proper break-in procedures for AeroVee Engine Kits. Added to all AeroVee Assembly Manuals printed after 11/11/2009. 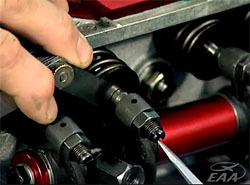 This video tip, produced as part of the EAA Hints for Homebuilders series, details proper techniques for checking and adjusting the valves on your AeroVee engine. Note that this process is also detailed, step-by-step, in the AeroVee Assembly Manual provided with your AeroVee Engine Kit. This video tip, produced as part of the EAA Hints for Homebuilders series, details the proper techniques for measuring and trimming the steel pushrods when assembling the AeroVee Engine Kit. This video tip, produced as part of the EAA Hints for Homebuilders series, describes the technique for synchronizing the timing of the primary and secondary ignition modules on your AeroVee Engine. Note that this process is also detailed, step-by-step, in the AeroVee Assembly Manual provided with your AeroVee Engine Kit. How to Rebuild Your Volkswagen Air-Cooled Engine by Tom Wilson, ISBN# 978-0-89586-225-9 is a highly recommended reference source for AeroVee Engine customers evaluating and servicing parts during the overhaul process. The 175-page illustrated handbook can be purchased from Amazon.com or from many other online bookstores. The Sonex/Jabiru Installation Guide gives full firewall-forward guidance for installing your Jabiru engine using Sonex factory-tested and proven techniques and materials. The Installation guide is specific to Sonex airframes for a clean and simple Jabiru installation, but much of the information can be readily applied to installation in other airframes. The AeroInjector Owners Manual gives installation and tuning instructions applicable to installation of the AeroInjector on any engine/airframe combination. Following the manual will help customers avoid common mistakes and will ensure successful installation and tuning of your AeroInjector. Have the previous-model AeroConversions AeroCarb? Details installation of the AeroConversions Air Filter Assembly on the AeroCarb. Detailed installation instructions for AeroConversions CHT Probes. Includes step-by-step instructions and enough general information to accomodate installation in a wide range of aircraft. Detailed installation instructions for the AeroConversions Oil Separator. Includes step-by-step instructions and enough general information to accomodate installation in a wide range of aircraft. Detailed installation instructions for the AeroConversions Throttle Quadrant and Throttle Quadrant ST. Includes step-by-step instructions and enough general information to accomodate installation in a wide range of aircraft. Detailed installation instructions for the AeroConversions Dual Throttle Quadrant System. Includes step-by-step instructions and enough general information to accomodate installation in a wide range of aircraft. 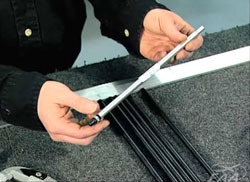 Detailed installation instructions for the AeroConversions Trim System. Includes step-by-step instructions and enough general information to accomodate installation in a wide range of aircraft. Detailed installation instructions for the AeroConversions AeroBrakes. Includes step-by-step instructions and enough general information to accomodate installation in a wide range of aircraft.